by 3 years practicing as a professional theatre performer, Rachel Gadsden has been a contemporary visual artist for 20 years. She has a BA (Wimbledon School of Art) and an MA (City and Guilds of London Art College) in Fine Art. She exhibits internationally and works across the mainstream and disability art sectors, exploring notions of hope and fragility. In 1999 Rachel exhibited at the Dostoyevsky Museum, St Petersburg, Russia. “Wasteland” was awarded the Most Popular Painting Prize in the Hunting Art Competition 2003; subsequent awards have included an Arts Admin Digital Media Bursary 2004, Dada Visual Artist of the Year 2005, Shrewsbury International Painting Prize 2006, Holton Lee International Disability Arts Prize 2007, Momentum Arts Council UK and Dada-South Bursary 2009 and in 2009 Rachel was awarded the Dada Awards International Arts Award. Recent commissions have included a year long appointment and major solo exhibition as the first contemporary "artist in residence" at Hampton Court Palace (2007-2008), appointment as the "first" artist for Parliamentary Outreach for the year long Rethink Parliament General Election project and exhibition 2009-2010, an ongoing commitment as artist for WheelPower UK at Stoke Mandeville, and a live capture artwork performance for the Liberty Festival 2010 commissioned by Bradley Hemming Director of the International Greenwich and Docklands Festival. 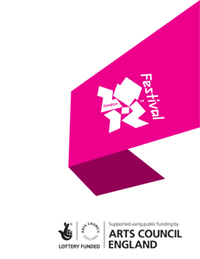 Rachel is collaborating with Ryan Laight to create a major Outdoor Visual Art, Film and Dance Performance commission for the Paralympic Torch Rely Celebrations at Stoke Mandeville Statium and Aylesbury Town Sq on the 28th Aug 2012. In 2011 Rachel won awards in Round 2 & 3 of the International Unlimited London 2012 Cultural Olympiad Commissions to create Unlimited Global Alchemy. These awards reperesent an opportunity to undertake a commission of a life time for Rachel, and she is delighted to be leading this commission and collaborating with amazing UK and International practisioners and actavists to create a multi layered commission that will be part of the London 2012 Festival. Rachel is delighted to be co - producing UGA with Artadmin and the Museum of Archeology and Anthropology, Cambiridge University.